What level of government holds powers over forests  and decisions affecting forests  in mainland Tanzania? Which powers and responsibilities are centralized, and which are decentralized? What role can citizens play? 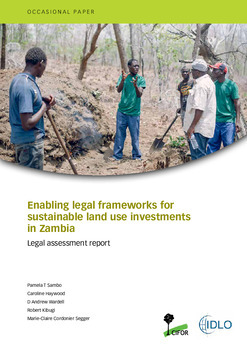 This report reviews the statutory distribution of powers and responsibilities across levels and sectors with particular emphasis on those relevant to REDD+. 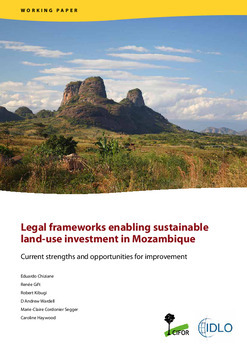 It outlines the legal mandates held by multiple levels of government with regard to land use decision and policy arenas affecting forests, as well as community land use, tenure and management. 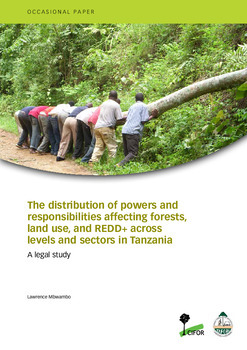 The introduction describes REDD+ institutions in Tanzania. The second section provides an overview of the decentralization process, including government powers, financial resources and mechanisms for public participation. The third section outlines financial resource distribution mechanisms such as forest fees and PES. The fourth section details the specific distribution of powers and arenas of responsibility related to land use planning, land titling and administration, protected areas and various types of concessions. The fifth section discusses laws pertaining to community lands, land claims and PFM. The final section summarizes the role of key ministries in land use decisions relevant to REDD+. The study was commissioned under CIFORs Global Comparative Study on REDD+, as part of a research project on multilevel governance and carbon management at the landscape scale. 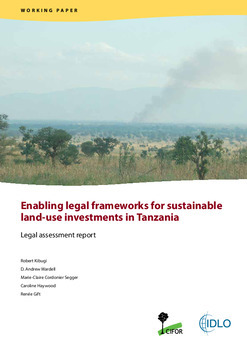 It is intended as a reference for researchers and policy makers working on land and forest issues in Tanzania.